Here's another trio of newly announced shows coming to the Triangle this spring. 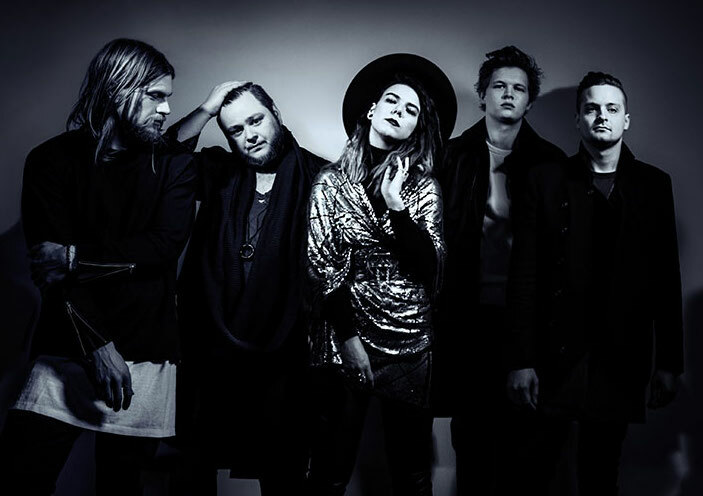 The first is young Icelandic folk pop band Of Monsters and Men who will play the Red Hat Amphitheater in Raleigh on Wednesday, June 15. Tickets will go on sale at 10 a.m. on Friday, January 15, via Ticketmaster and the Duke Energy Center box office for $25 to $45. The Live Nation pre-sale starts at 10 a.m. on Thursday, January 14. Next up is R&B star CeeLo Green who will play the Lincoln Theatre in Raleigh on Sunday, March 13. Tickets are on sale now via Etix for $29.50 (general admission floor) to $45 (reserved balcony). And lastly in this roundup, folk rock troubadour M. Ward will kick off his spring tour at the Haw River Ballroom in Saxapahaw on Friday, April 29. Tickets will go on sale at 10 a.m. on Friday, January 15, via Ticketfly for $23. Pre-sale tickets are available now via M. Ward's website for $23.